Prohibition of marijuana is a failed public health policy. Nearly 85 percent of Americans have tried marijuana. For at least two decades, it has been easier for adolescents to obtain marijuana than alcohol. Marijuana is the biggest cash crop in California. Nationwide, Americans spend and consume between $75 billion and $120 billion worth of marijuana annually. A majority of Americans recognize that prohibition of marijuana is a flawed and failed policy. 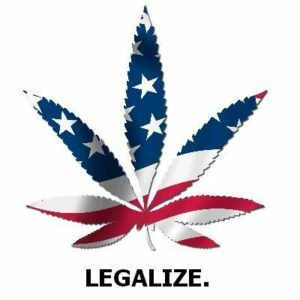 In a recent Gallup poll, 58 percent of Americans favored the legalization of recreational marijuana. More than 80 percent of voters favor legalization of medical marijuana. Colorado and Washington voters legalized marijuana in 2013. Beginning in California in 1979 with the Compassionate Use Act, 23 states and the District of Columbia have legalized medical marijuana. Prohibition of marijuana is an unjust law. The AMA’s Code of Medical Ethics Opinion 1.20 states, “In general, when physicians believe a law is unjust, they should work to change the law.” Roughly 800,000 people a year are arrested for illegal use of marijuana, 75 percent for simple possession for personal use. Clearly, when the prohibition of marijuana results in between three and four times as many arrests, prosecutions, and incarcerations of African-Americans and Latinos as of whites, who have a higher incidence of marijuana use, the law is unjust. Racial profiling and the discriminatory enforcement of marijuana prohibition are unjust. A marijuana conviction may prevent access to college scholarships, employment, voting, public housing, and firearms. I am confident that the majority of members of ACEP, the American Academy of Emergency Medicine, and the Emergency Medicine Residents’ Association are criminals who just weren’t caught. Prohibition of marijuana is a violation of our personal liberties. 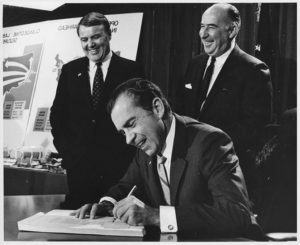 Our Constitution is based on an individual’s right to “life, liberty, and the pursuit of happiness.” When President Nixon signed into law the Controlled Substances Act in 1970, marijuana was to be temporarily classified as a Schedule 1 drug pending the recommendation of the National Commission on Marijuana and Drug Abuse, commonly referred to as the Schafer Commission. On March 22, 1972, the commission’s chair, Raymond P. Shafer, presented a report to Congress and the public titled “Marijuana, A Signal of Misunderstanding,” which favored ending marijuana prohibition and adopting other methods to discourage use. The report states, “The actual and potential harm of use of the drug is not great enough to justify intrusion by the criminal law into private behavior, a step which our society takes only with the greatest reluctance.” The commission recommended the legalization of marijuana for personal use. As an emergency physician, I know marijuana is safer than alcohol. In my 20 years as an emergency physician at Marin General Hospital, I saw fewer than 10 patients with a chief complaint related to the consumption of marijuana. I never had a single hospital admission related to marijuana use. As an intelligent, responsible adult, I believe I should have the right to choose marijuana to relax or socialize because it is much safer and less toxic than alcohol. Prohibition of marijuana has many adverse unintended consequences. 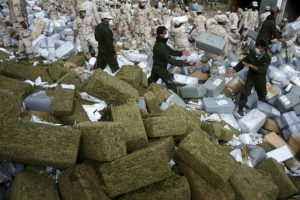 Americans’ insatiable desire to use marijuana has resulted in the real war on drugs, where drug cartels in Mexico and Central and South America have killed tens of thousands of people in the last decade. The tremendous illegal profits from these drug cartels are corrupting and destabilizing these countries. The legal costs to arrest, prosecute, and incarcerate people for marijuana possession waste billions of dollars each year. Finally, I believe that the legalization and regulation of marijuana is safer for our children. Drug dealers don’t ask for IDs or proof of age. They are not concerned about the potency or purity of the products they sell. The claim that marijuana is a gateway drug to heroin, cocaine, etc., has been debunked. The problem is that illegal drugs are a gateway to other illegal and more dangerous drugs. Adolescents in the Netherlands, which has had de facto legalization of marijuana for more than 30 years, use marijuana at a significantly lower rate than adolescents in the United States.